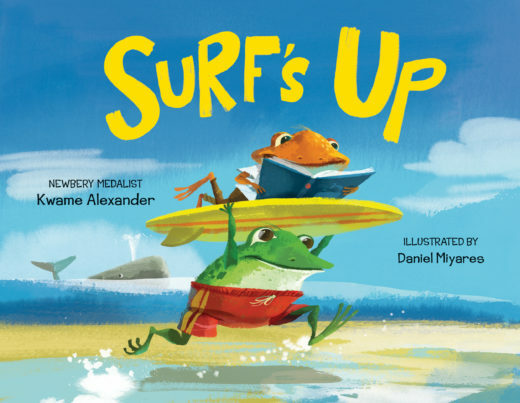 Summer is nearly here and a fabulous new crop of books rich in coastal themes is ready to inspire young artists, adventurers, and scientists in the making. This season’s selection offers plenty of terrific stories, including books about storms, a biography of one of the most important female scientists of the 20th century, and a tactile gem on creatures that light their own way. 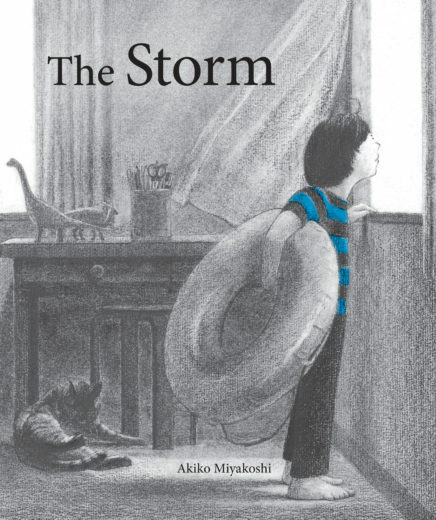 Some choice selections for middle school readers include a book of shark poems, a book of stories about mysterious disappearances sure to bring out a reader’s inner detective, a graphic novel about a little-known Arctic adventurer, and a brilliant, nearly-wordless picture book that even adults won’t want to put down. As a parent, grandparent, and former teacher, I know that instilling a love of reading begins with babies. 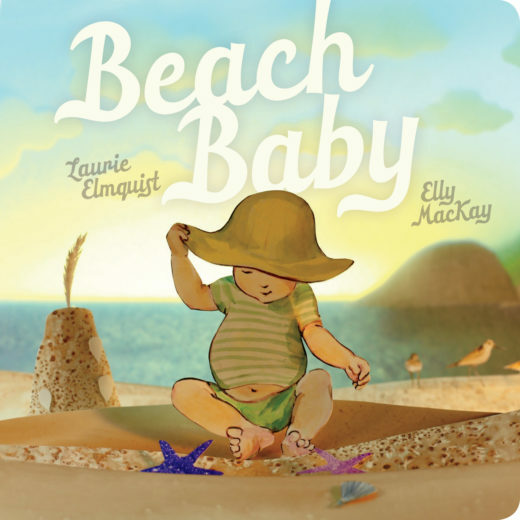 My year-old grandson adores pointing to Elly MacKay’s beautiful and easily identifiable sand dollars, crabs, and the “seal peering out of the waves” in Beach Baby by Laurie Elmquist. 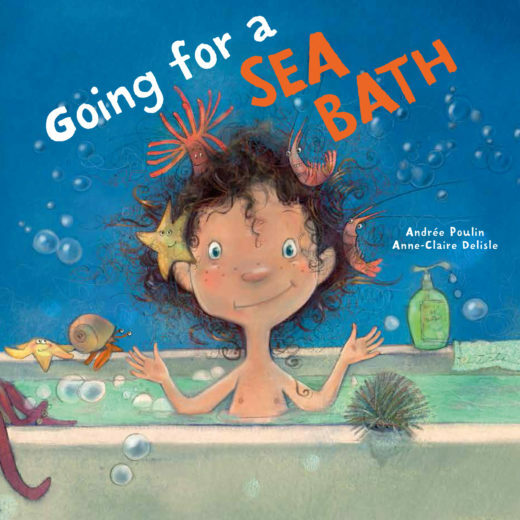 Counting is king with young children, and Going for a Sea Bath by Andrée Poulin is a wacky numbers book that features a dedicated and exceedingly tolerant father and a “wonderful,” “superb,” “sublime” selection of sea creatures you may not actually want to count in your bathtub. But wouldn’t it be fun to imagine! Informative picture books are attractive to both teachers and parents. 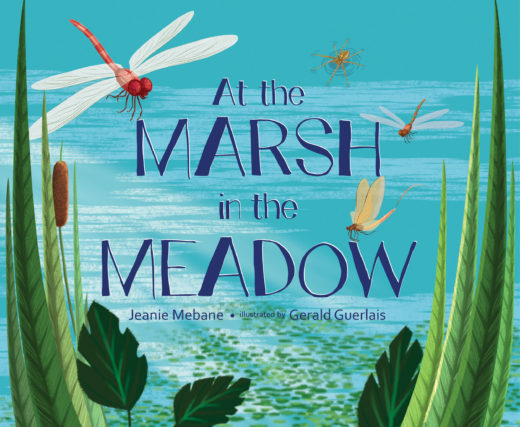 While At the Marsh in the Meadow by Jeanie Mebane refers to a freshwater marsh, there are many similarities between freshwater and saltwater marshes, and this book would be the perfect teaching tool to explore those similarities, as well as the differences. It is an incredibly enlightening cumulative poem about marsh life that can do double duty in school and home libraries. 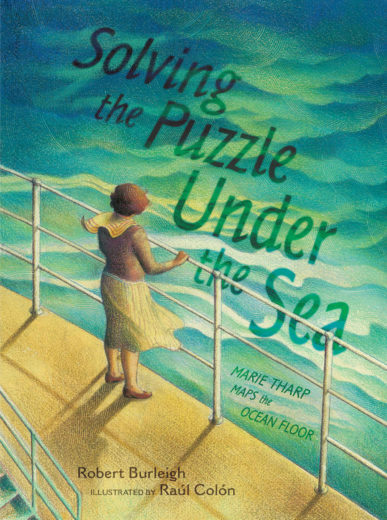 I am a huge fan of Robert Burleigh, but his picture book biography of pioneering scientist Marie Tharp, Solving the Puzzle Under the Sea: Marie Tharp Maps the Ocean Floor, will be most likely to find a home in school libraries, as will Way to Glow! : Amazing Creatures That Light Up in the Dark by Lisa Regan. 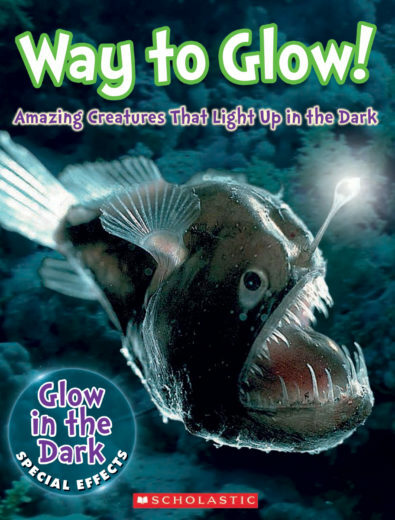 This latter title has outstanding photos of each creature, and the use of embossed details and glow-in-the-dark ink make it ideal for kinesthetic learners. This season, sea glass has inspired two stories. 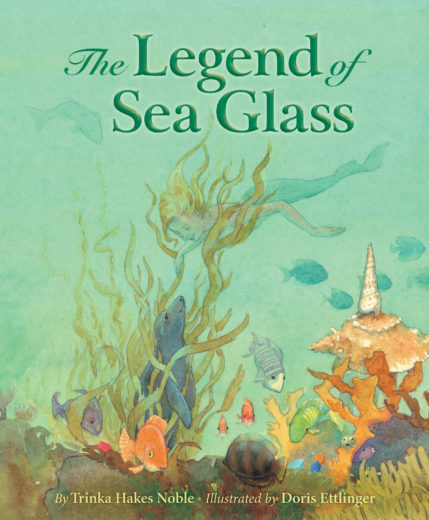 The Legend of Sea Glass by Trinka Hakes Noble, lusciously illustrated by Doris Ettlinger, is a beautiful retelling of a legend of how mermaid tears shed for those lost at sea become sea glass. 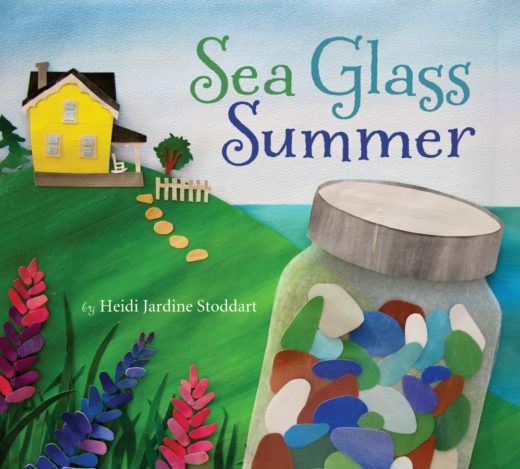 A second title, Sea Glass Summer by Heidi Jardine Stoddart, could not be more different. It is an appealing story grounded in the special time a young girl spends combing the beach with her grandmother. The sea glass and other treasures they find sustain the young girl even after her family moves away. Sadly, the illustrations do not do the story justice. 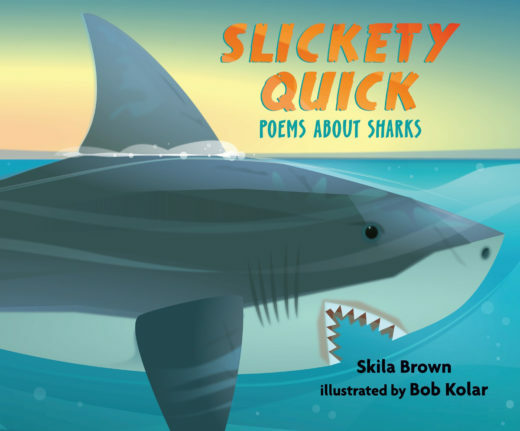 If you’re looking for serious kid appeal for multiple ages, you need look no further than Slickety Quick: Poems about Sharks by Skila Brown. Everything about this book is fabulous. And it’s a book that begs to be read out loud. “At the bottom of the sea, in the belly of the dark, / in the cold and the quiet, lives the megamouth shark.” In addition to the poems, there are interesting facts about each shark, so readers will come away better informed. The illustrations by Bob Kolar are excellent and so is the book design. Even the endpapers stand out. 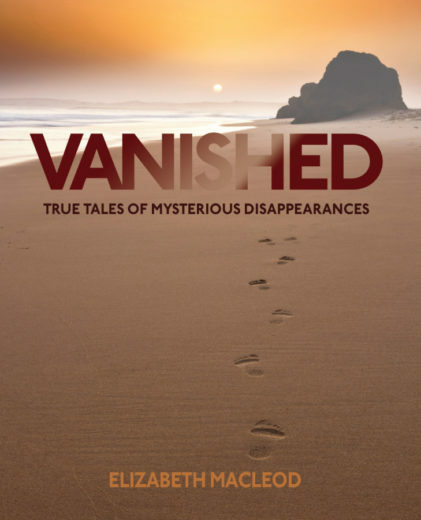 The prolific and talented Elizabeth MacLeod will have no trouble drawing readers to Vanished: True Tales of Mysterious Disappearances. Although not all of the stories relate to coastal themes, many do. One of the stories details the daring Alcatraz prison break and subsequent escape of three outlaws who disappeared after entering the treacherous waters off San Francisco Bay in a makeshift raft. Maps, photos, historical documents, and short fictionalized accounts accompany each story and bring disappearances alive for young readers. 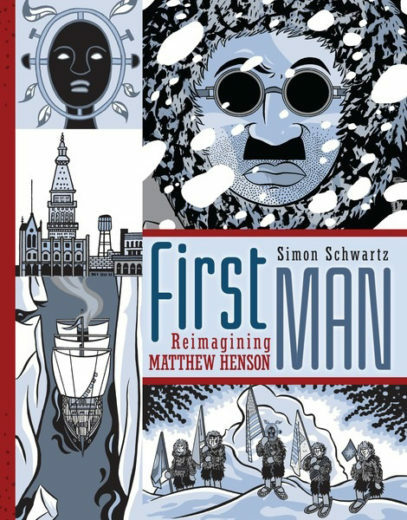 Graphic novels are wildly popular with young readers, and one that takes interesting imaginative leaps is First Man: Reimagining Matthew Henson by Simon Schwartz. It is a fascinating exploration of little-known Arctic explorer Matthew Henson, a black American and companion of Robert Peary. Inuit influences populate the narrative and can be seen in the stylized artwork. Schwartz relies on a cool color palette and on imagined as well as historical details to re-create an Arctic feel. Schwartz is successful in capturing the prejudices of the period, but it would be helpful to provide readers with additional accurate information. 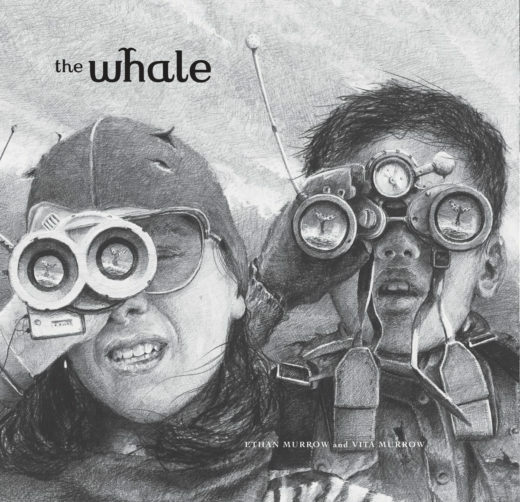 A last title with special and unique appeal is a black-and-white picture book by Vita Murrow and the extremely talented artist Ethan Murrow entitled The Whale. It follows two science-minded young people who are enticed to “take to the waves” to prove that the sighting of a great spotted whale 50 years ago was not a spoof. The story is mainly told through beautiful, detailed graphite illustrations that are bookended by partial newspaper articles offering clues to the beginning and end of the story. The art and concept are as interesting as they are sophisticated. It will appeal to young and old artists alike, and to readers who love to create their own narratives. We are so lucky to be the beneficiaries of the talent booming in the book world today. 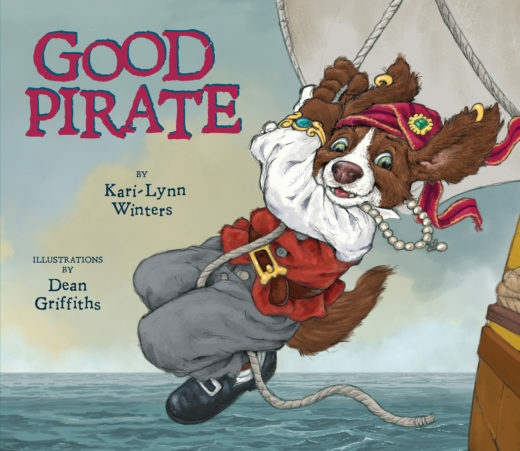 Whether you are looking for the perfect coastal board book for a new parent or grandparent, a fabulous picture book that explores coastal mythology and deep-sea creatures, or a tale of a legendary ghost ship, there are loads of wonderful books to choose from. 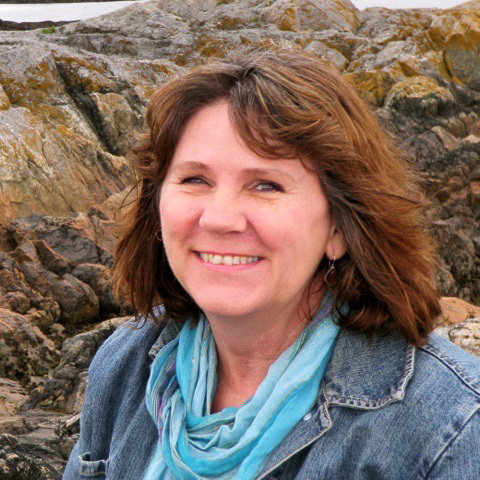 Cite this Article: Sheryl McFarlane “Summer Reads for Kids of All Ages,” Hakai Magazine, Jun 10, 2016, accessed April 23rd, 2019, https://www.hakaimagazine.com/features/summer-reads-kids-all-ages/.